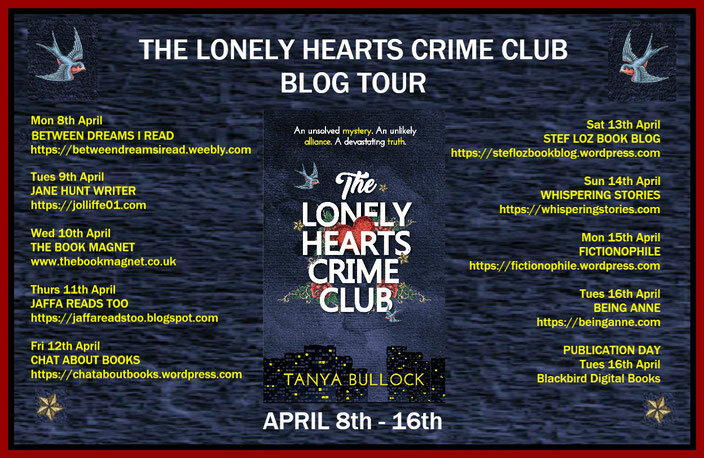 The Blog Tour for Tanya Bullock's new mystery thriller The Lonely Hearts Crime Club is under way, with some fabulous feedback for this edgy mystery with a beating human heart. 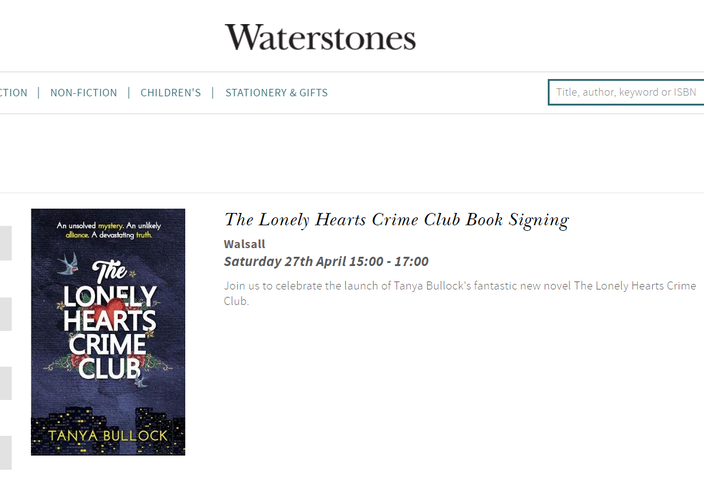 Set in a Midlands tower block, it is out on 16th April in ebook and paperback. 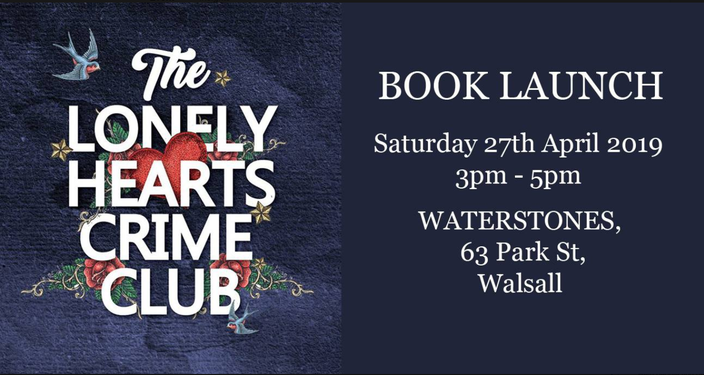 The launch party will be held at Waterstones, Walsall, at the heart of the novel's Midlands setting, on Saturday 27th April, all welcome.